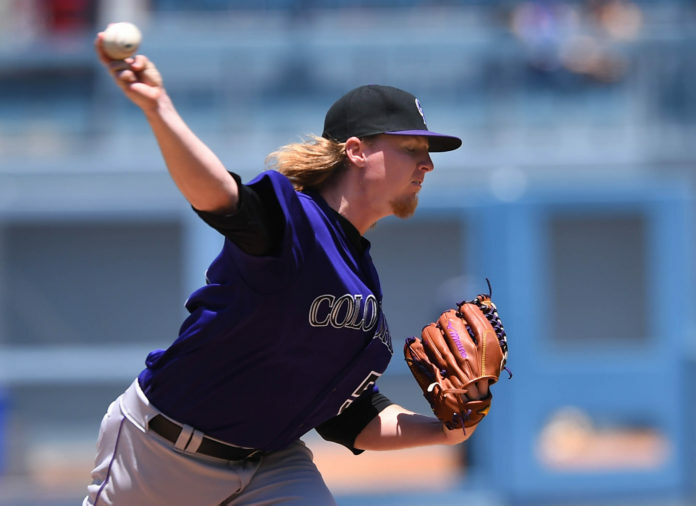 Jon Gray likes pitching at Coors Field. Yes, you read that correctly. Gray’s numbers back up this sentiment. This year he is 3-0 at Coors with an ERA of 4.71 compared to a 2-4 record and a 4.63 ERA on the road. Friday marked his fifth consecutive outing at home throwing at least six innings and his fourth quality start at home. He should have had another win in game two of the series against the Phillies. He went 6.1 innings allowing three hits with two walks and eight strikeouts. The two runs charged to his account crossed the plate after he had left the game. Those numbers weren’t indicative of how well Gray threw. The wheels fell off starting with Jake McGee’s slider. To get there, first we need to start with Gray’s four-pitch walk to Phillies’ catcher Cameron Rupp to lead off the seventh inning. Gray responded immediately by striking out Ryan Howard swinging. Freddy Galvis then hit a single that brought out Walt Weiss to the mound to bring in McGee, who came back from the DL July 2. At that point Gray had thrown 94 pitches with a filthy slider and effective use of his curveball. With Gray pitching effectively and facing the eight and nine hitters in the Phillies lineup, manager Walt Weiss’ call to the pen seemed premature. Reporters asked Gray postgame if he could have kept going. Weiss said he saw some effort creeping up in Gray’s delivery with the nature of the walk and some big misses. He didn’t want his starter to take the loss. Weiss also liked the matchup between McGee and Cesar Hernandez because it got the switch hitter to bat from his weaker right side. With the left-handed leadoff batter after that, Weiss felt confident pulling his starter. 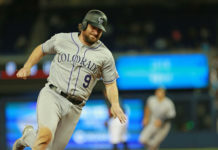 McGee immediately gave up a single to Hernandez and then gave up the go-ahead pinch-hit three-run home run to Tommy Joseph, which effectively won the game. It was the first pinch-hit home run of his career and the first pinch-hit home run for the Phillies all season. McGee said he hung a slider to Joseph and that he probably should have stuck with his best pitch, his fastball. Now that he is no longer in the closer role and back to six through eighth innings like he was in Tampa Bay, he said he is just focusing on the situation. 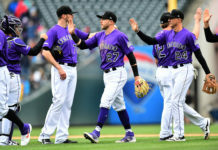 Maybe the most shocking stat of the season and biggest indication that the game was over is that the Rockies are 0-for-42 when trailing after seven innings.